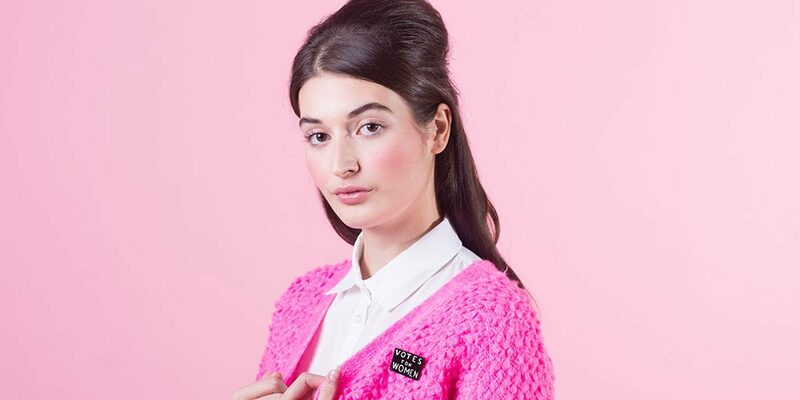 It's time to roll up your sleeves and hoist that placard, our Vote 100 collection is here! We've teamed up with the Museum of London to create an exclusive jewellery collection as part of Vote 100, celebrating a centenary of women's right to vote in the UK. Inspired by original protest banners in the Museum of London's collection and reimagined in acrylic, add a little inspiration to your lapel in the Votes for Women Brooch. Discover the Suffragette Banner Necklace. Laser cut pastel acrylic mimics original protest banners, complete with tiny tassels, as seen in the Museum of London's collection. 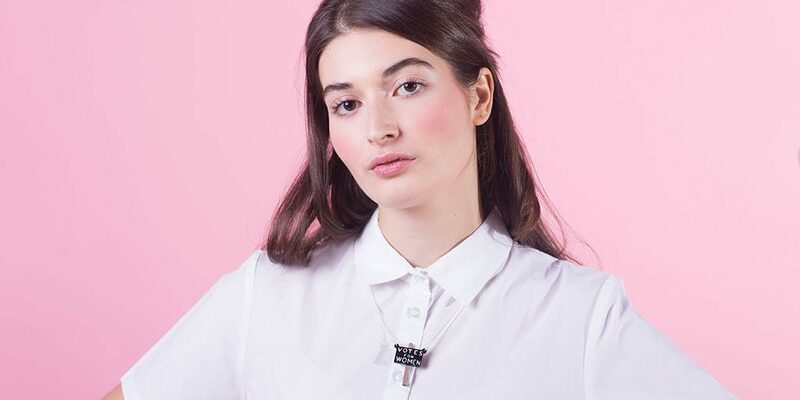 A rousing call to arms, the Deeds Not Words Necklace draws on Emmeline Pankhurst's famous quote, transforming it into wearable art. Laser etched and inked onto glossy white acrylic, this speech bubble really pops! 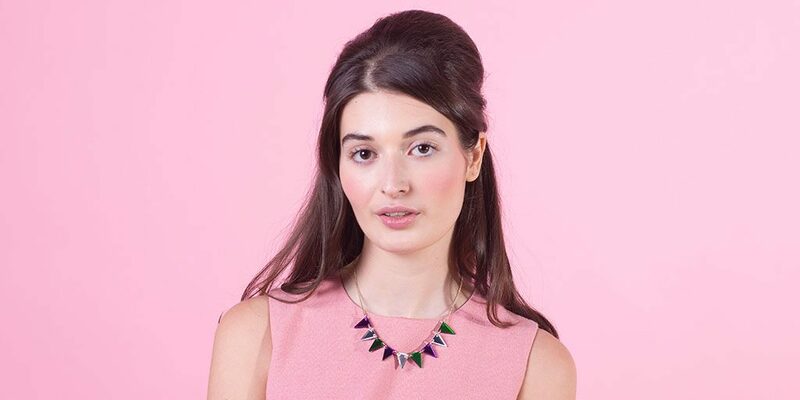 Our classic Bunting Necklace has been appropriately reimagined in the suffragette colours of mirror purple - for dignity, silver - for purity and green - for hope as a subtle, shining nod to Vote 100. Time to meet the Suffragette Bunting Necklace! Wearable protest art? Count us in! 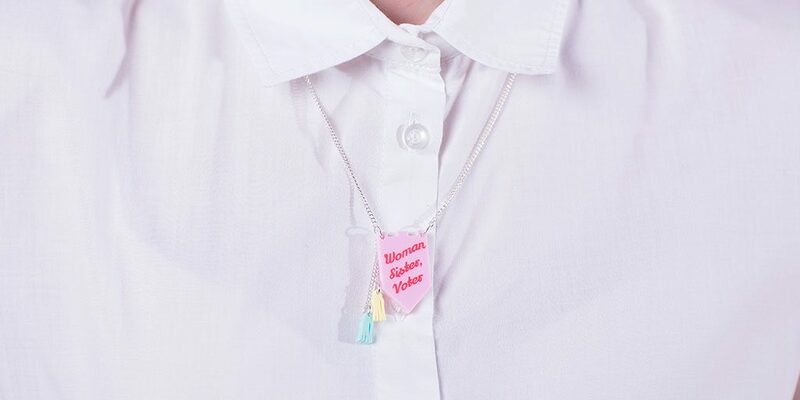 Let 'em know exactly what you're saying in the Votes for Women Necklace. Look closer, we've etched commemorative dates into the wood. 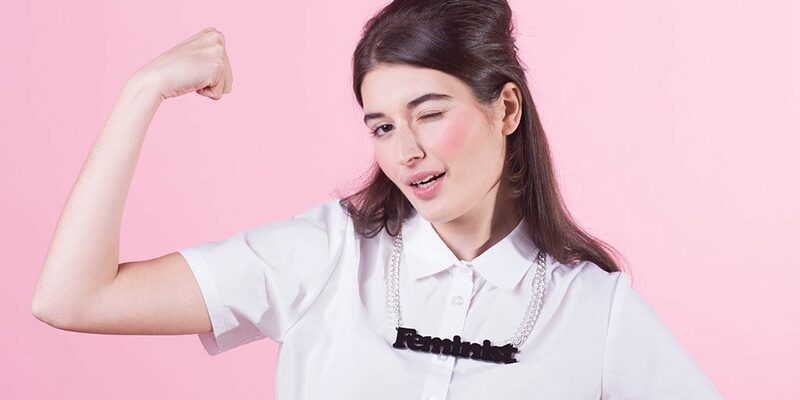 And exclusive to Tatty Devine, the Feminist Necklace in a choice of two sizes, laser cut glossy black acrylic. Right on! Shop the new Vote 100 collection NOW!